A black and white color combo is always going to be timeless, but in my opinion it always needs to be paired with a print or unique details, just to avoid looking mundane. 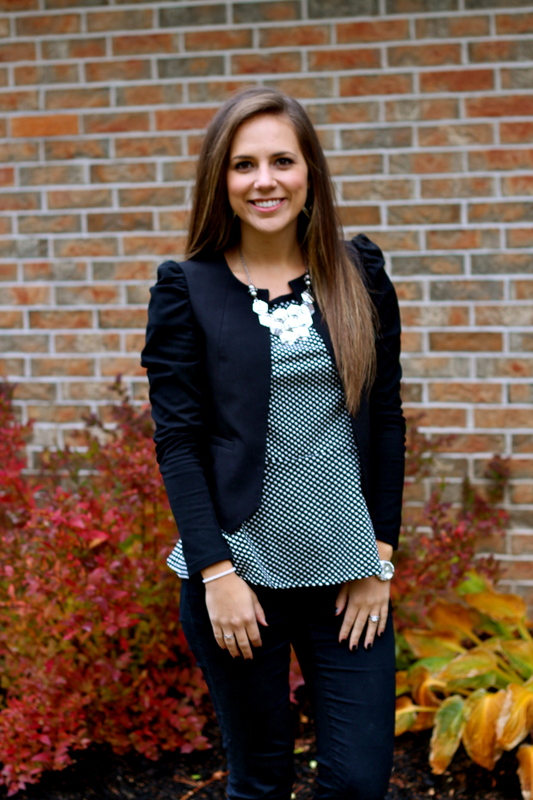 I’m usually not attracted to polka dots, but I love it on this peplum shirt! And as you can see with my blazer off, it has two black side panels to create the illusion of a small waist (gotta love that!). I paired it with my favorite and most comfortable black jeggings from RW&CO and my black wedge booties! Added some gunmetal accessories to finish it off!